An FCT High Court sitting in Jabi on Friday ordered the Abuja Municipal Area Council (AMAC) to rebuild the 720 shops and stores demolished at the Karmo market, a suburb of the FCT. The plaintiffs in 2011 sued AMAC, the Minister of the Federal Capital Territory (FCT), Muhammed Bello; and the Federal Capital Development Authority (FCDA) for the demolition of the market in 2006. 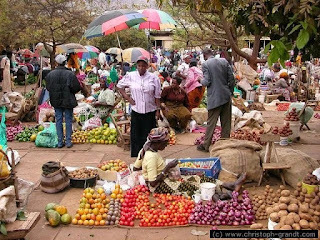 The traders are Makata-Sylvanus Okechukwu, Alhaji Yahaya, Raphael Odoh, Zakari Yau, China Aria, Ibrahim Sani, Chukwuka Ukwueze, Abubakar Umar, Faith Jimoh, and Batholomew Okeke. Delivering judgment, Justice Yusuf Halilu held that the demolition carried out by the defendants was illegal since the allocations were made to the plaintiffs by AMAC. The judge said the defendants engaged in “official misconduct” when they refused to compensate the plaintiffs and shop owners and went ahead to demolish their structures. Mr Halilu also granted an order restraining the defendants from further interfering with the plaintiffs allocations given to them by AMAC or cause same to be reallocated to another person without compensation. The judge further ordered AMAC, the Minister of the Federal Capital Territory and the FCDA to pay N3 million as general damages to the plaintiffs. He also ordered the defendants to pay N100, 000 as cost of litigation. NAN reports that the plaintiffs had particularly prayed the court for an order to declare that the stores and shops built on the approval of AMAC in the market were illegally demolished by the defendants. They also sought the declaration of the court that the refusal of the defendants to compensate the shops owners before the demolition was an abuse of office, illegal, and null and void. The plaintiffs also prayed the court for an order mandating the defendants to build back the structure and an order compelling the defendants to pay each of plaintiffs N480, 000 as value of the demolished shops. They have also prayed the court for an order for payment of N10 million as general damages for each of the plaintiffs for unlawful demolition and loss of businesses. Also, an order of injunction restraining the defendants from further interfering with the plaintiffs allocation, along with N10 million as cost of the suit respectively. In the alternative, the plaintiffs asked the court for an order to mandate the defendants to allocate a new permanent ground to them on which they would rebuild their demolished shops and stores. Part of the alternative prayers includes the payment of N10 million as general damage to each of the plaintiffs and cost of the suit in the sum of N10 million. The plaintiffs had also claimed in the suit that demolition notice were not served before the exercise was carried out and that the defendants disregarded the hardship the demolition cause to them.